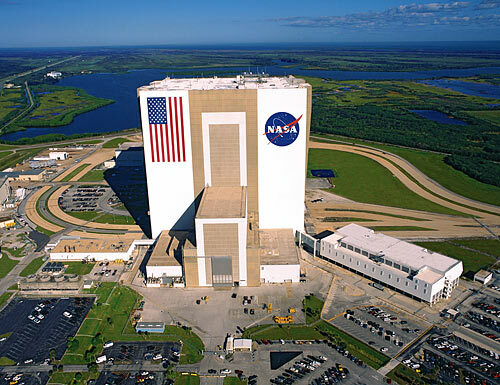 The NASA facility supporting Launch Complex 39, the John F. Kennedy Space Center is the largest operational launch to date. 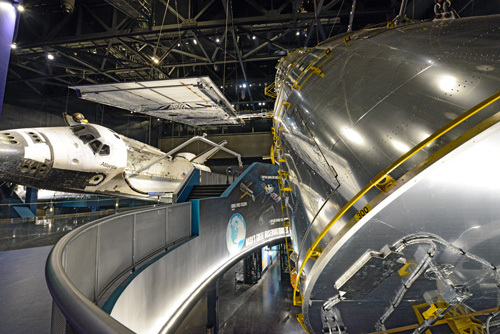 Its visitor complex offers exhibits, displays, attractions and artifacts from past spaceflights, as well as information about the future of human and robotic missions. 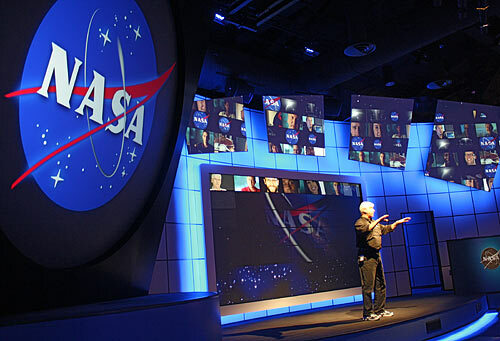 Visitors can witness a rocket launch in person, meet a veteran astronaut, and watch a 3-D IMAX® space film. 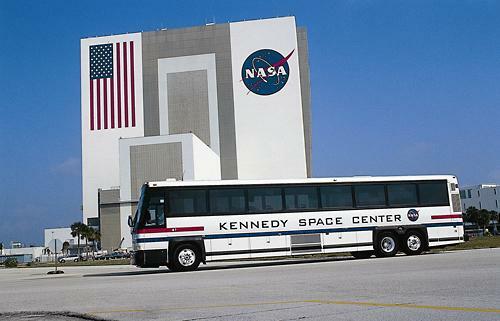 KSC bus tours are included with your admission. Grab a schedule when you walk into the park. 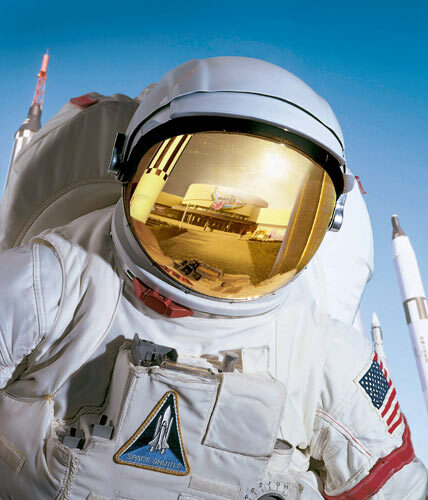 Get a chance to meet an astronaut and have your souvenir of choice autographed. 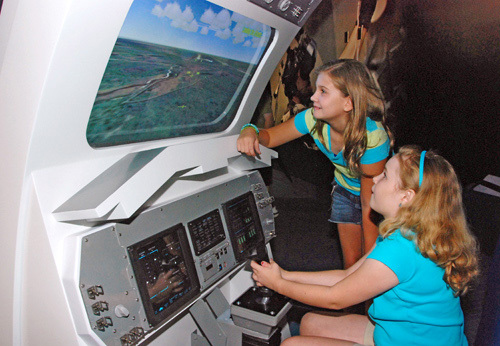 Experience the interactive space-flight simulators. 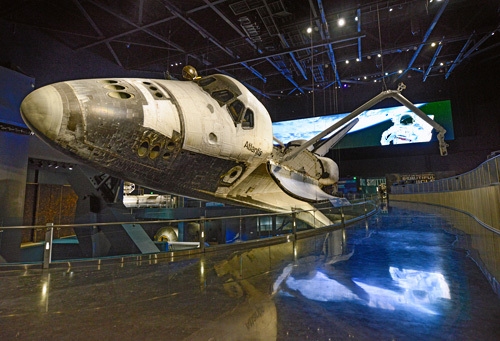 Enjoy a self-guided tour of Kennedy Space Center. 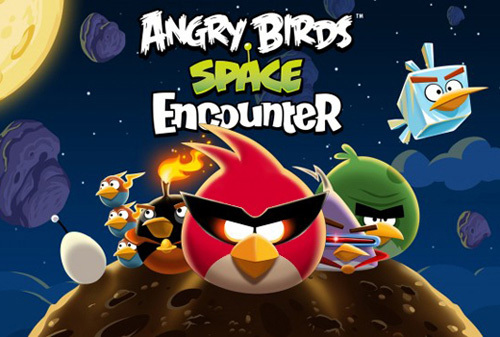 Make time for one of the IMAX space films. 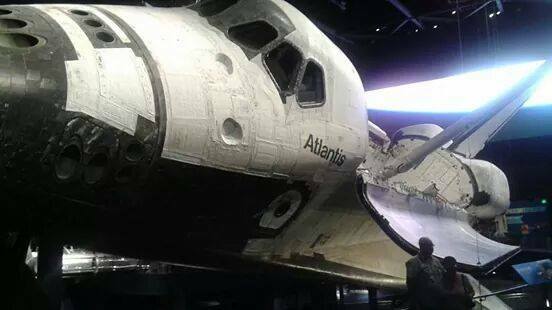 Experience the Space Shuttle Atlantis, on-site. 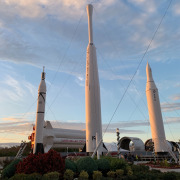 Guests cannot enter the Space Center on SpaceX Falcon Heavy rocket launch dates or black out dates. 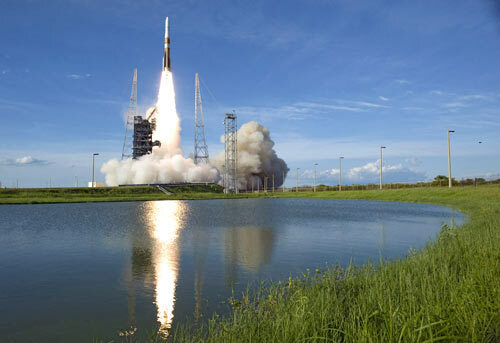 Launch dates can be rescheduled or scrubbed due to various factors. 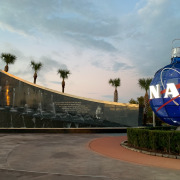 Please check the KSC schedule prior to your visit. 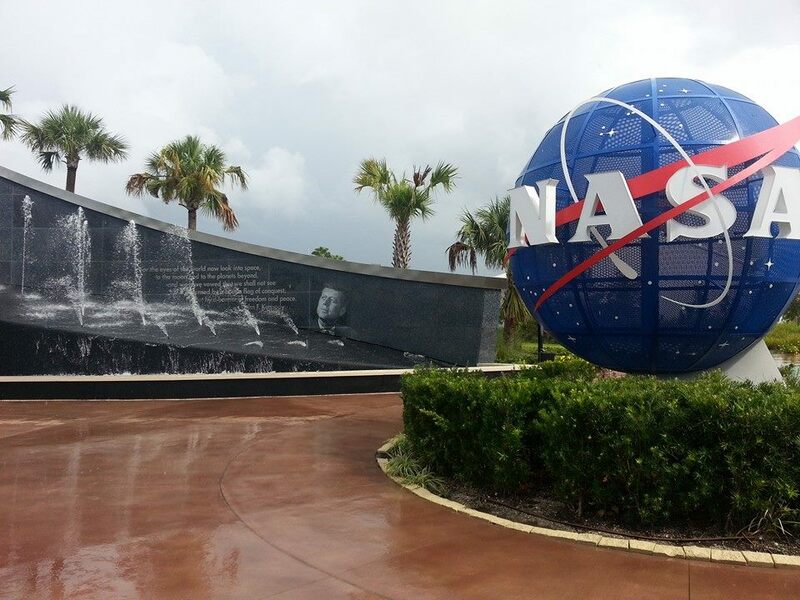 Your Orlando vacation is not complete without a trip to Kennedy Space Center. 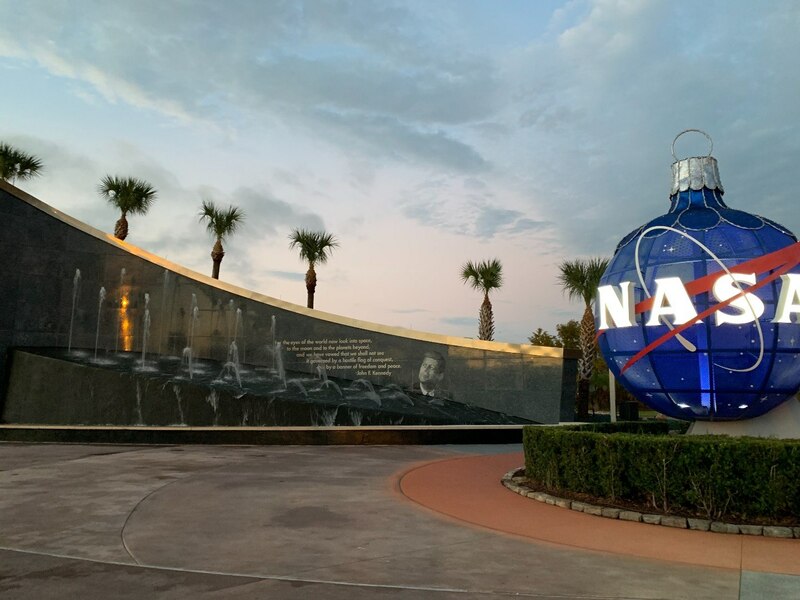 Just 45 minutes from popular Orlando attractions and theme parks is NASA's launch headquarters, the only place on Earth where you can tour launch areas, meet a veteran astronaut, see giant rockets, train in spaceflight simulators, and even view a launch. 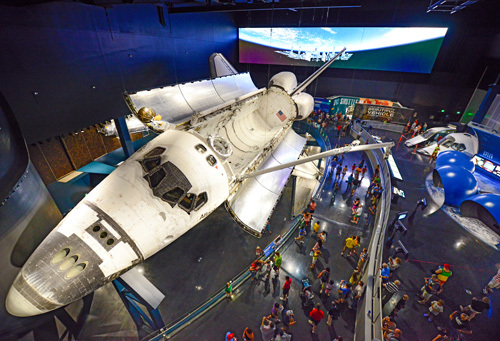 Experience more on your vacation to Orlando with a day trip to Kennedy Space Center Visitor Complex, where the sky isn't the limit: it's just the beginning. 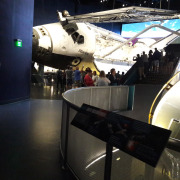 After nearly 126 million miles of space travel, space shuttle Atlantis has landed at Kennedy Space Center Visitor Complex. View every inch of this American icon as she hangs gracefully in midair. 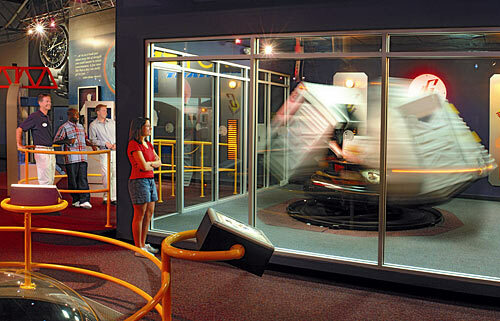 Nearby, dozens of exhibits and 60 interactive simulators immerse you in a true-to-life spaceflight experience. 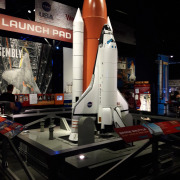 At Shuttle Launch Experience® you’ll strap in and experience the thrill of liftoff as you learn just what it feels like to launch into space aboard a shuttle traveling at 17,500 mph. Make sure to watch Journey to Space 3D or A Beautiful Planet 3D at the only back-to-back 3D IMAX® theatres in the world. 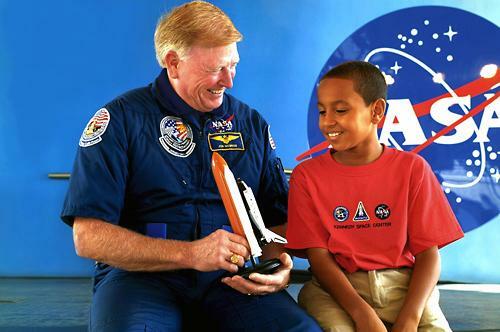 Meet a real veteran astronaut at Astronaut Encounter. 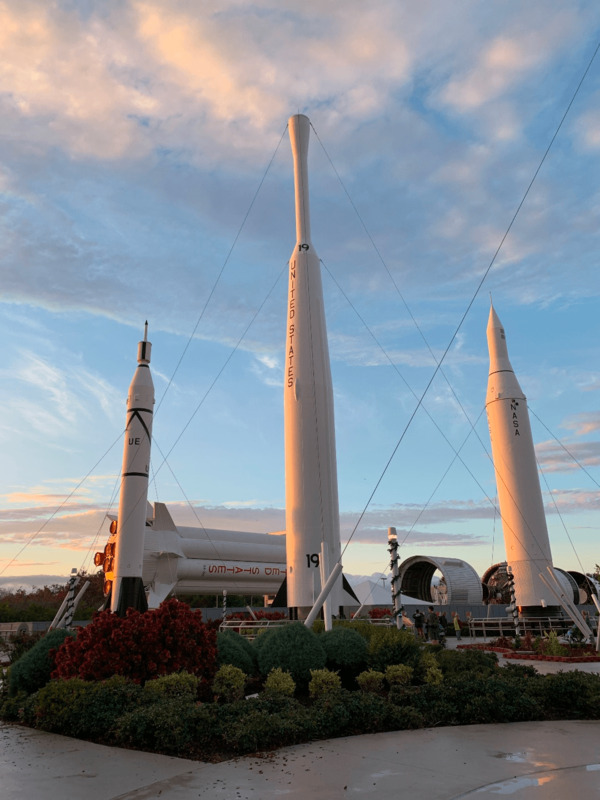 Visit the Rocket Garden, home to actual rockets from Mercury, Gemini, and Apollo. 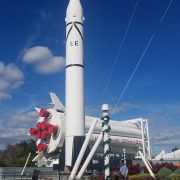 Then take the Kennedy Space Center Bus Tour, highlighted by a visit to the Apollo/Saturn V Center, where you’ll see the 363-foot-long Saturn V moon rocket, as well as fascinating artifacts from the early days of the space program. Single Admission: Kennedy Space Center Visitor Complex admission includes a full day of fun and educational activities, including the Kennedy Space Center Bus Tour featuring the Apollo/Saturn V Center with an actual Saturn V moon rocket, the new Space Shuttle Atlantis, Shuttle Launch Experience®, A Beautiful Planet 3D and Journey to Space 3D in IMAX® Theater, Astronaut Encounter, Journey to Mars: Explorers Wanted, Rocket Garden and many other interactive exhibits. Single Admission and Lunch with an Astronaut: Kennedy Space Center Visitor Complex admission includes a full day of fun and educational activities, including the Kennedy Space Center Bus Tour featuring the Apollo/Saturn V Center with an actual Saturn V moon rocket, the new Space Shuttle Atlantis, Shuttle Launch Experience®, A Beautiful Planet 3D and Journey to Space 3D in IMAX® Theater, Astronaut Encounter, Journey to Mars: Explorers Wanted, Rocket Garden and many other interactive exhibits. 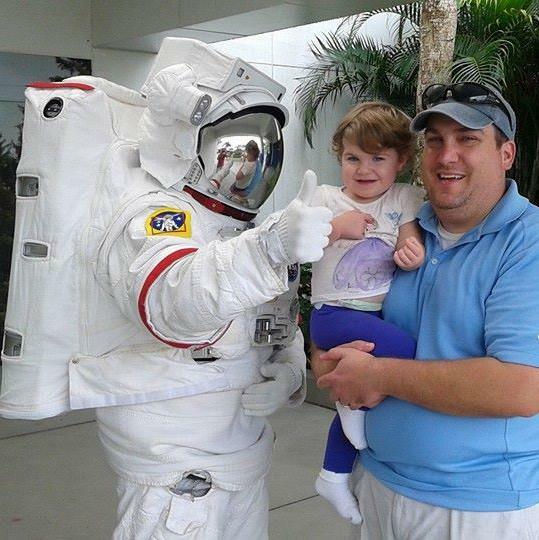 Lunch with an Astronaut included. 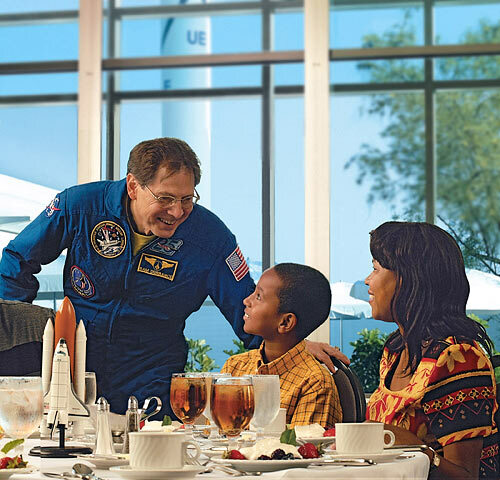 Lunch With an Astronaut is a delicious buffet offered daily at 12:00 p.m. at the Visitor Complex. 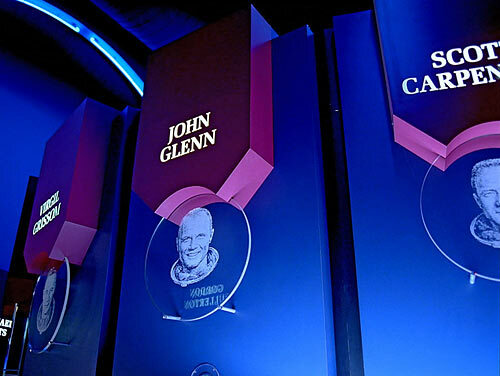 This popular program is highlighted with a speaking appearance by a veteran astronaut hero. Single Admission and Kennedy Space Center Special Interest Tour: Kennedy Space Center Visitor Complex admission includes a full day of fun and educational activities, including the Kennedy Space Center Bus Tour featuring the Apollo/Saturn V Center with an actual Saturn V moon rocket, the new Space Shuttle Atlantis, Shuttle Launch Experience®, A Beautiful Planet 3D and Journey to Space 3D in IMAX® Theater, Astronaut Encounter, Journey to Mars: Explorers Wanted, Rocket Garden and many other interactive exhibits. Kennedy Space Center Special Interest tour includes photo opportunities of the giant structures that make up the world’s largest launch facility. Get an up-close look at the coastal launch pads that unleashed the power to put people on the moon and sent space shuttles to the International Space Station. 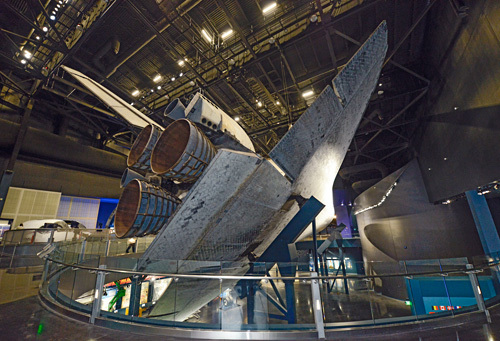 Guests will also have the chance catch a glimpse of the Vehicle Assembly Building (VAB) where monstrous vehicles were assembled for launch, from the very first Saturn V rocket in the late 1960s to the very last space shuttle, STS-135 Atlantis, among other areas specific to the history of the space program. 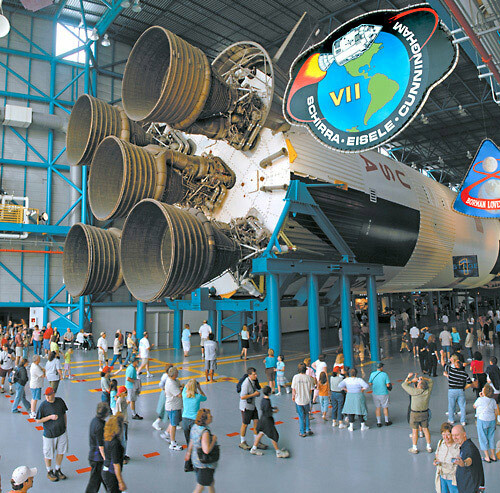 The tour culminates at the Apollo/Saturn V Center, home of the largest rocket ever built – a 363-foot long Saturn V moon rocket. Launch day will be a “blackout” date. 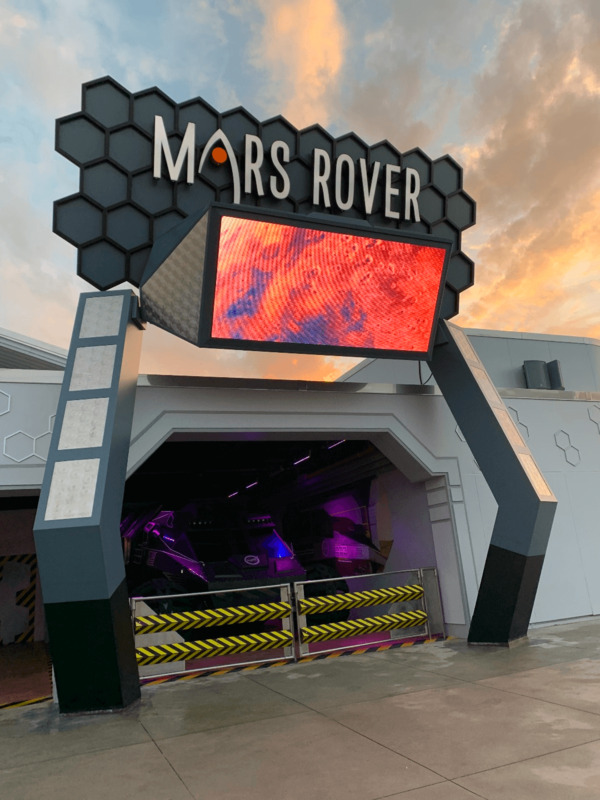 No other tickets will be redeemable on the day of the launch including annual passes, employee complimentary tickets, vouchers and any pre-paid admission tickets. 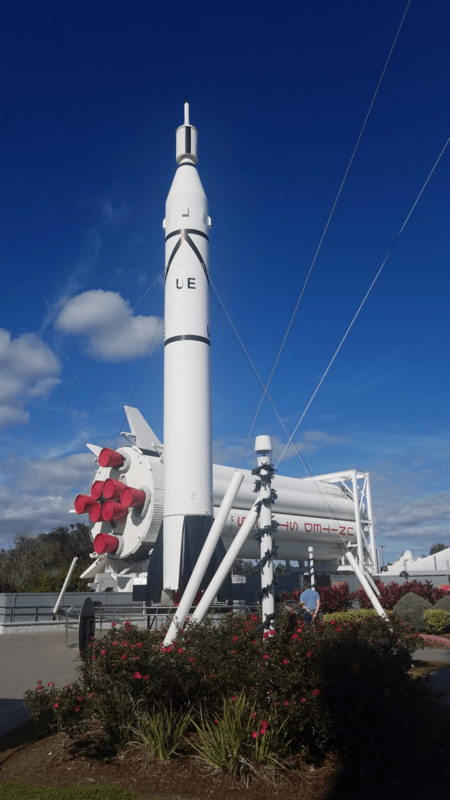 Do Kennedy Space Center tickets have an expiration date? The single admission ticket is valid 120 days from the date of purchase. Do I need to call in advance to make a reservation? 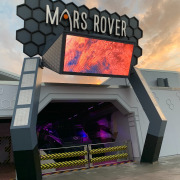 For the Up-Close and Space Pass ticket type, you will need to call the phone number listed on your E-ticket voucher to confirm availability and set-up a tour time. 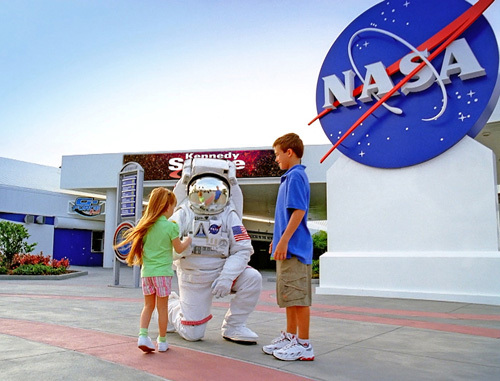 What does the single admission ticket at Kennedy Space Center include? 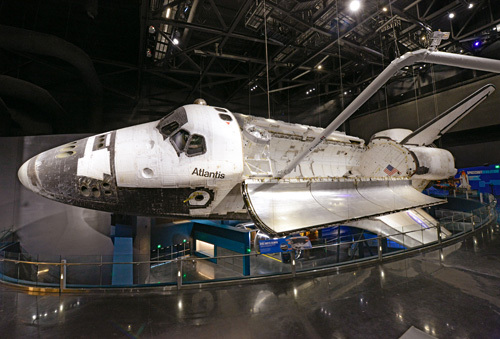 Admission tickets permit one entry to Kennedy Space Center Visitor Complex to experience the Space Shuttle Atlantis, Shuttle Launch Experience, KSC General Bus Tour, Twin IMAX Theater 3-D Films, Special Viewing of Rocket Launches and Numerous Shows and Exhibits. What are the Up-Close Tour options? 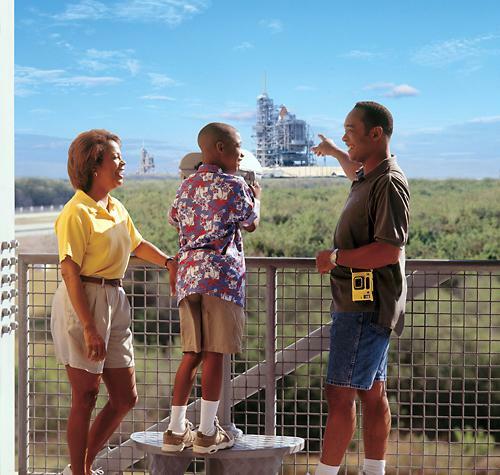 When you purchase the Up-Close Tour or Space Pass ticket type, you can choose from 3 tour options. Note: reservations are required by calling in advance and confirming availability. KSC Up-Close Explore Tours - Visit NASA's KSC Headquarters, disembark on the NASA Causeway, stop for photo's outside the 525-foot tall Vehicle Assembly Building (VAB) and drive around Launch Pad 39B. 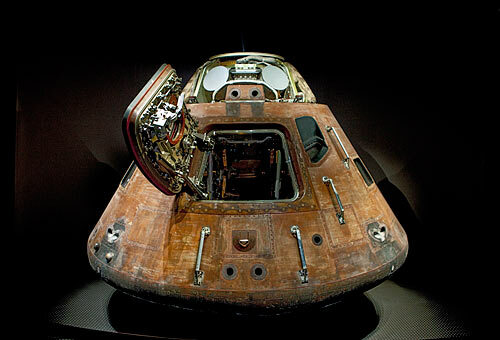 Your tour guide will share historical facts and insights about each stop and answer questions about the space program. KSC Up-Close Launch Control Center Tour - Visit the famous Launch Control Center where more than 150 Apollo and space shuttle launches were supervised. 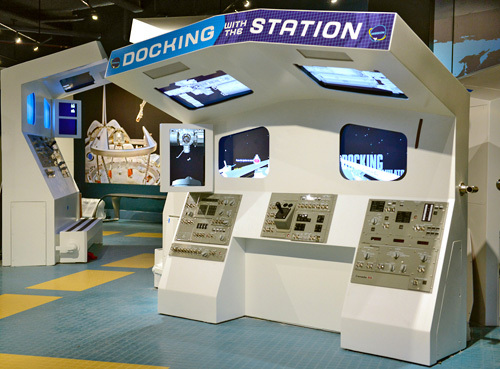 Stand in the helm of Firing Room 4, look out from the elevated "Bubble Room," snap a photo at the desk of NASA's Launch Director, drive past the former space shuttle launch pads and much more. 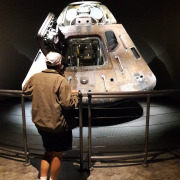 Throughout the tour, your guide will point out historical landmarks and give real time updates on what's happening at the KSC. 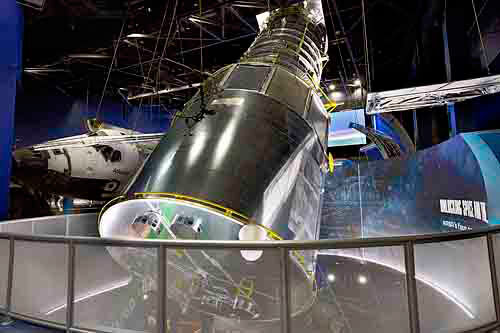 KSC Up-Close Cape Canaveral: Then & Now Tours - (limited availability Thurs - Sun). 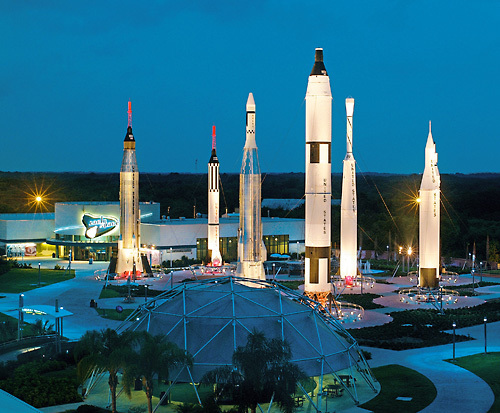 Visit Cape Canaveral Air Force Station where all current launches take place. 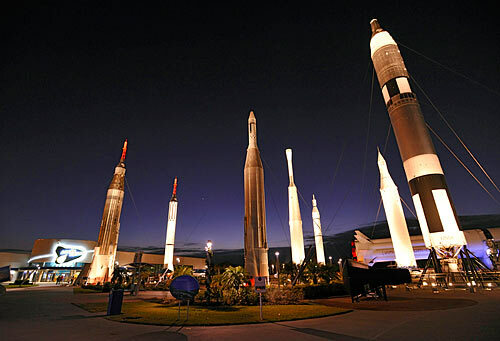 See Launch Pad 26, Air Force Space & Missile Museum, Launch Complex 5/6, Cape Canaveral Lighthouse, Launch Complex 14, 19 and 34 and more. Your tour guide with share information about the sites visited and answer any questions. 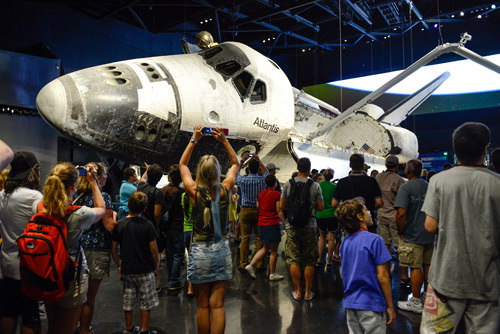 How long should visitors plan to stay at KSC Visitor Complex? Kennedy Space Complex is a full-day experience, so plan on spending 6-8 hours. 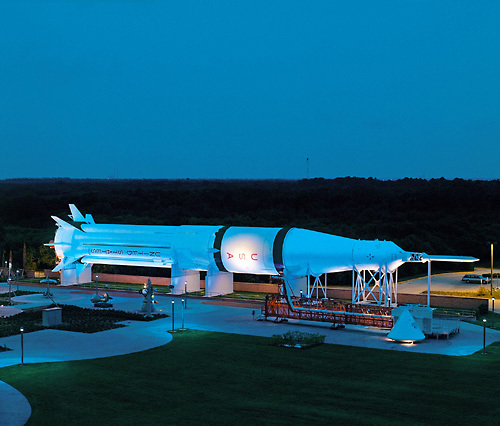 Why is there a charge at the Kennedy Space Center Visitor Complex? 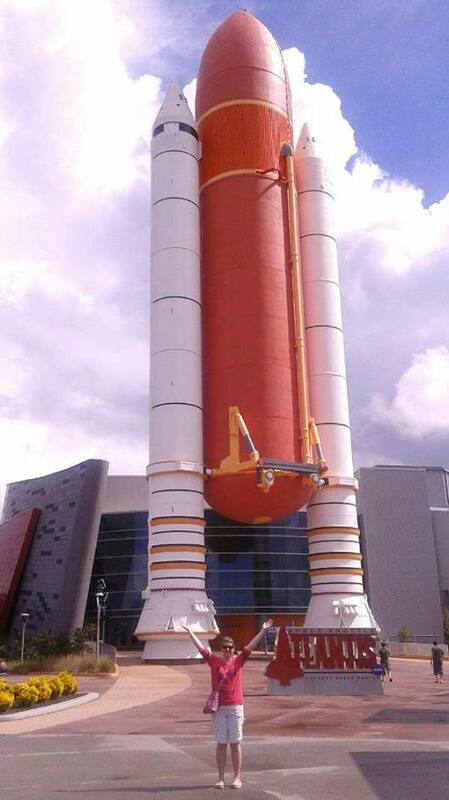 The KSC Visitor Complex is not tax supported. 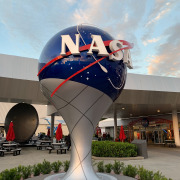 It is self-sufficient, funded entirely through visitor revenues, and operated for NASA by Delaware North Park Services of Spaceport (DNPSS) as a commercially viable enterprise that enables the telling of the NASA story without cost to the taxpayer. There is a parking fee of $5.00 for motorcycles, $10 for automobiles and $15.00 for RV’s and trailers. Motorcoaches (Busses) and group transportation vans are free. 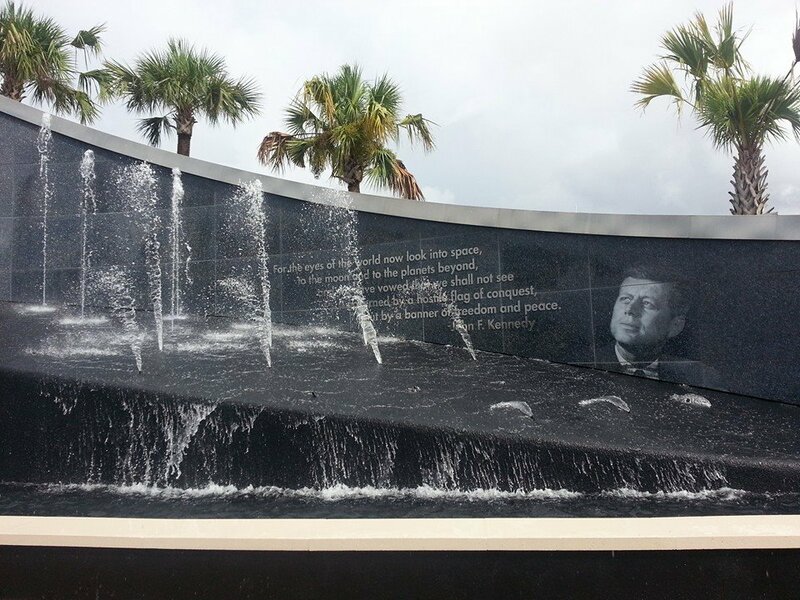 Is the Kennedy Space Center Visitor Complex wheelchair accessible? Are wheelchairs and strollers available? Guests can purchase an all day wheelchair or stroller rental: Stroller $5.00 + tax, Double Stroller $8.00 + tax, Wheelchair $10.00 + tax and Electric Scooter Rental $25 (limited). 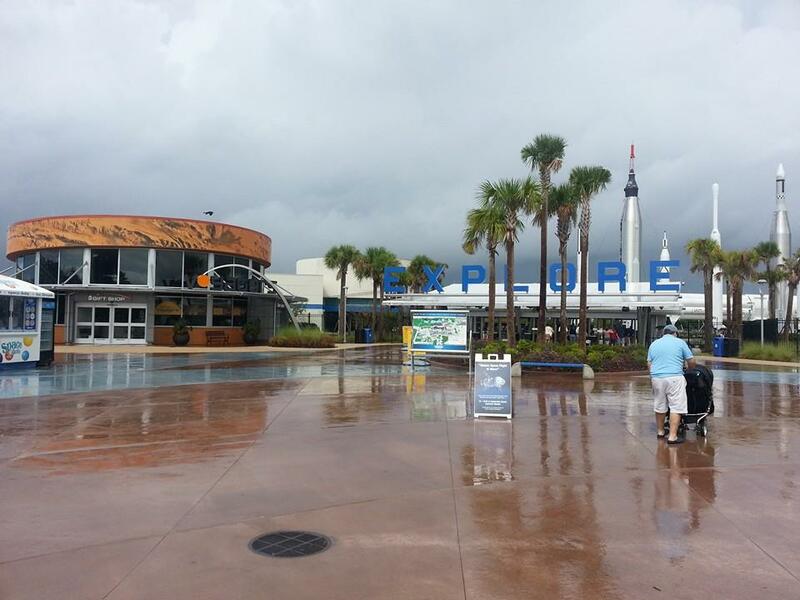 Guests can also bring their own stroller, but note that only umbrella strollers are allowed on the bus tours. How long are the bus tours? 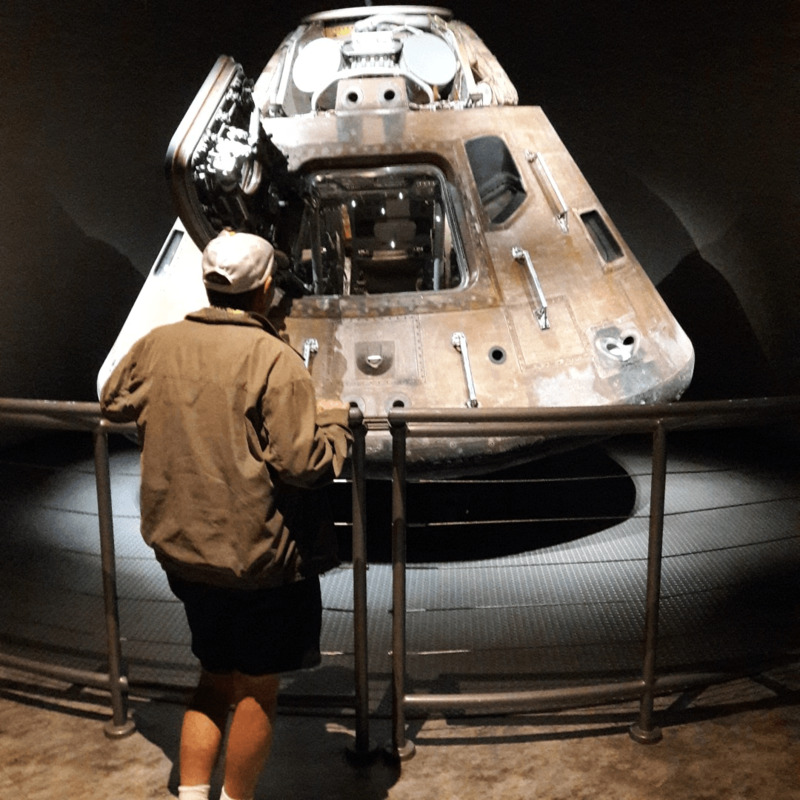 The Kennedy Space Center Tour is self-guided and allows guests to spend as much time as they like at the LC 39 Observation Gantry and the Apollo/Saturn V Center. 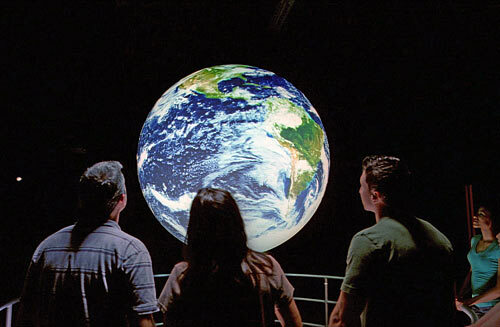 The average guest plans to spend two to two-and-a-half hours for the full tour. Departure times vary with the hours of operation. Be sure to check the Daily Schedule upon arrival to the Visitor Complex for departure and ending times. Where can we find something to eat? 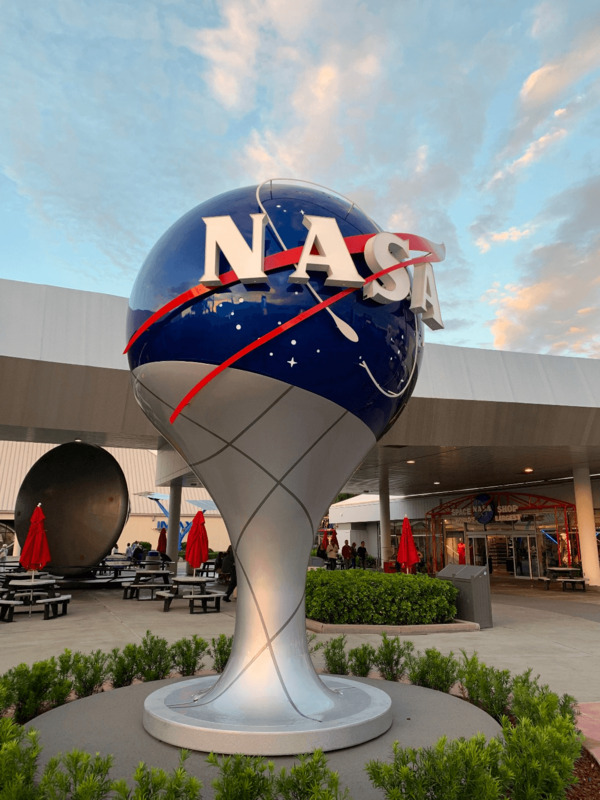 Early NASA astronauts squeezed food from toothpaste-like tubes, but at Kennedy Space Center Visitor Complex guests will fare much better. 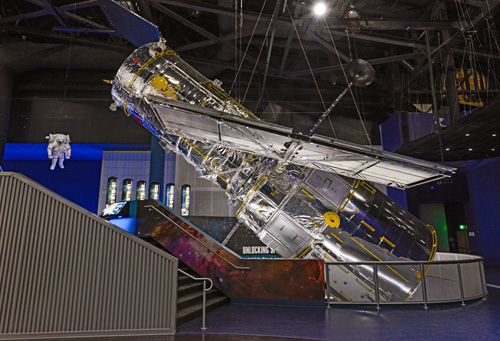 Orbit Café, Moon Rock Cafe, Space Dots, Rocket Fuel Food Truck and Milky Way are just a few of the Visitor Complex's space-themed eateries featuring tasty dishes ranging from burgers and fries to salads. 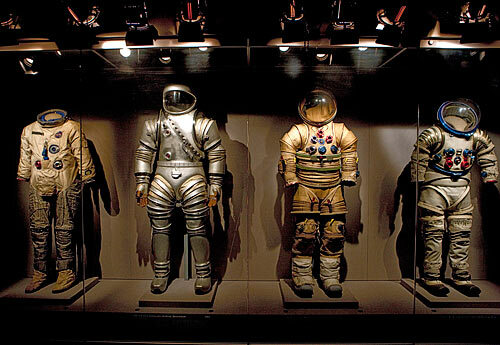 You can even have Lunch With an Astronaut. 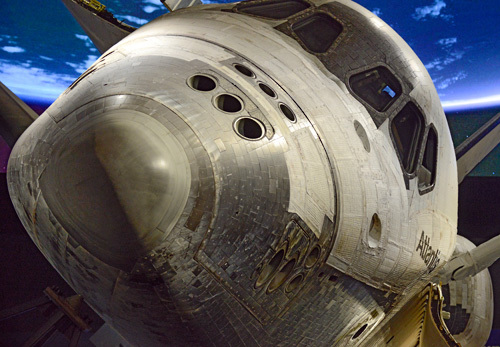 While enjoying a gourmet meal, guests will listen to a briefing from one of the few who has flown in space. Limited seating allows time for individual photos, autographs and/or the opportunity to take questions from participants. 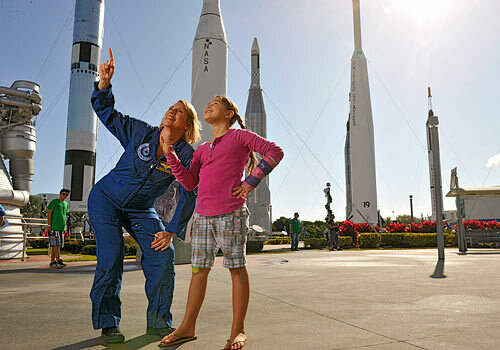 Can I visit the Kennedy Space Center on the same day as a rocket launch? No. 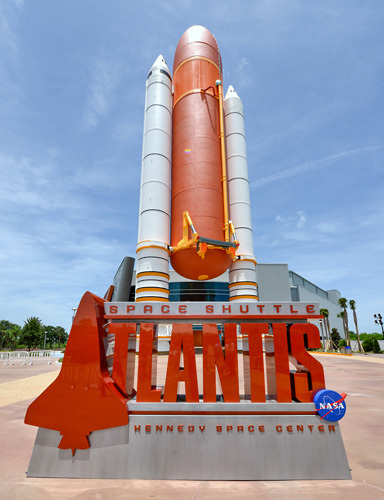 Guests cannot enter the Kennedy Space Center on a launch date or black out date. 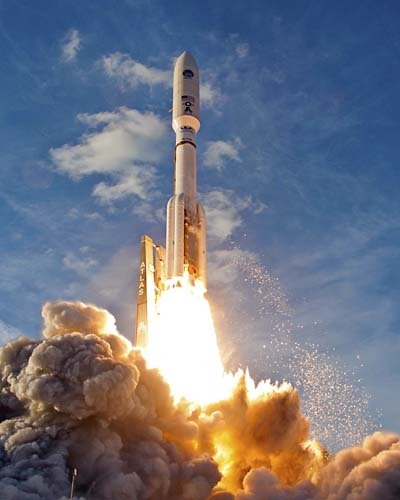 That said, launch dates are often scrubbed or rescheduled due to a myriad of factors and uncertainties. 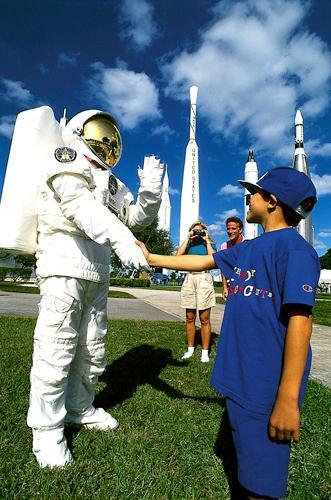 It is in your best interest to double check the Kennedy Space Center schedule prior to your visit.